Simonson’s former personal injury and medical malpractice law firm had worked with Trighton for more than 5 years and had been enjoying the benefits of its website’s top ranking in Google for many years. Therefore, when starting a new firm, Simonson wisely chose to continue working with Trighton and sought to leverage the authority of his former firm’s web presence in conjunction with his own professional authority as a preeminent New York City attorney. This situation presented a major marketing challenge because the new law firm had a different name, different domain, and different physical location than his previous firm. Moreover, Simonson Goodman Platzer did not have a brand or website, and they needed both immediately to begin acquiring clients and laying the foundation for the firm’s future success. The Trighton team knew they had to gain consensus among key stakeholders and move quickly to launch a new custom responsive design website and comprehensive internet marketing strategy. They also knew they had to do everything possible to the fullest extent possible to successfully meet the challenge presented by creating an effective web presence and marketing plan for a new firm with exceptionally high standards of quality and performance. Working collaboratively and efficiently, the Trighton team partnered with Simonson, Goodman and Platzer to develop branding, a new best in class responsive website, and a well-planned, integrated marketing strategy, including search engine optimization, local search, video marketing, social media marketing and content development. And they did it all within a matter of weeks to meet Simonson Goodman Platzer’s expedited timeline. Simonson Goodman Platzer PC’s responsive medical malpractice attorney website design, expertly optimized for search and conversion, was launched September, 2014. Immediately thereafter, the new firm began experiencing the benefits of the website and their coordinated internet marketing strategy. With Trighton’s expert execution of advanced search engine optimization (SEO) tactics, Simonson Goodman Platzer was able to retain the high SEO rankings and authoritative digital presence of the founding partner’s previous firm. 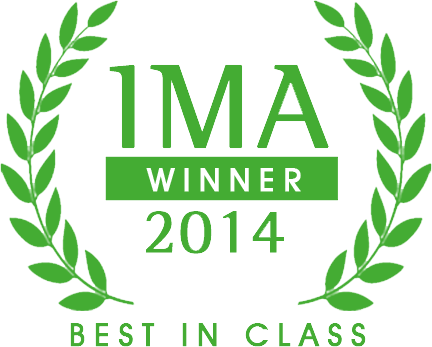 One month after Simonson Goodman Platzer’s website was launched, Trighton was notified that the website had won the prestigious 2014 Best in Class Interactive Media Award (IMA) in the legal category. Developed to recognize “the highest standard of excellence in website design and development and honor individuals and organizations for their outstanding achievement,” the IMA gives the Best in Class award as the “highest honor” to represent the “very best in planning execution and overall professionalism”. From the start of the development process, the Trighton team partnered with Simonson, Goodman and Platzer in envisioning a powerful web presence with a consistent message about the firm’s extremely high standards of service and practice. The law firm website design team then worked to create an intuitive user experience that would convey a sense of sophistication and quality. From concept to launch to performance, the website demonstrates exceptional quality in design, content, feature, functionality, usability, and standards compliance (the five criteria the IMA uses to evaluate websites. According to the IMA, “to win an IMA your site must excel in each criterion, rise above your competitor’s sites and deserve to be a top choice for your target market.” The website Trighton Interacive designed for Simonson Goodman Platzer PC excelled in all criteria, achieving an amazing score of 485 out of 500 points – Best in Class! The attorneys who formed Simonson Goodman Platzer were all well-established personal injury and medical malpractice lawyers with excellent reputations in New York. Having worked closely with two of the partners at their previous firm, the Trighton team knew how to leverage the attorneys’ real world reputation and authority to maximize client acquisition through the firm’s website. Trighton also had the expertise and commitment to its client to quickly implement advanced SEO tactics so that the new firm’s website could benefit from the authority of the old website in search rankings, even though it was launched with a new name and new domain. Given its expertise in web design, internet marketing for attorneys and commitment to getting results for its clients, Trighton served (and still serves) as Simonson Goodman Platzer’s marketing team. That is, the Trighton team handles all internet marketing functions for the attorneys, from branding design and development of letterhead, business cards, etc. to developing and distributing new content and attorney videos, maintaining their social media presence, handling their listing in local directories, and studying their data and making changes to improve site optimization. From strategy through production and implementation, differentiating Simonson Goodman Platzer PC from other New York personal injury law firms was key to successfully launching a new law firm. To position the firm for success, Trighton’s award-winning design team developed branding that visually conveys the attorneys’ expertise and sophistication. From its best in class responsive website and attorney videos to letterhead and business cards, Simonson Goodman Platzer’s key message of sophisticated, expert representation is conveyed through color, layout, text, photos and imagery. Simonson Goodman Platzer’s website achieved the #1 Google ranking within 1 month of launching. The website generated a $500,000+ medical malpractice client within 1 month of launching. More than 75% of the firm’s leads come directly from the website. In the first 6 months after launching the website, the firm retained a combined settlement amount above $20 million.